Sturdy metal drying trolley supplied with 30 wire metal drying shelves. 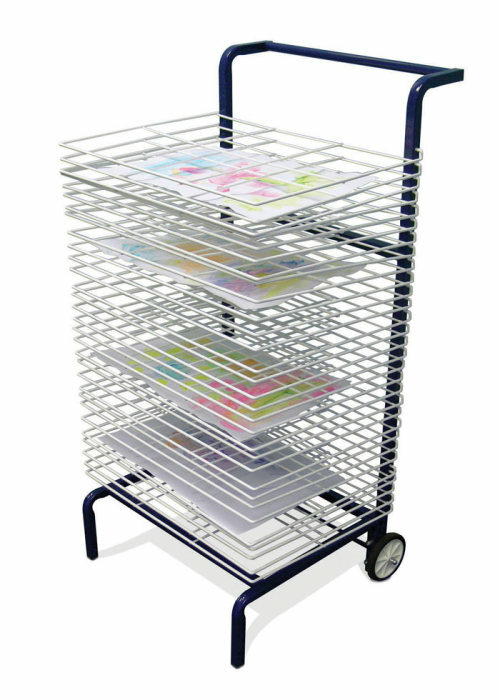 Comes with two castors for easy movement around the classroom. Shelves have a white plastic coating for easy cleaning. Suitable for use with A3 paper.